The William Brown Project is the work of Matthew Hranek. Here is more on Matthew, pulled from his site matthewhranek.com. 'Photographer and Director Matt Hranek has spent the last 20 years of his life traveling to the corners of the globe on assignment. Photographing and writing about some of the world’s most desirable destinations, Matt’s images capture the people, place, and objects that embody the American spirit. His work has appeared everywhere from editorials in Bon Appetit, Conde Nast Traveler, Esquire, GQ, Martha Stewart Living, Town and Country, and Travel and Leisure to commercial work for J Crew, LL Bean, Orvis, Sony, Target, and William Sonoma. 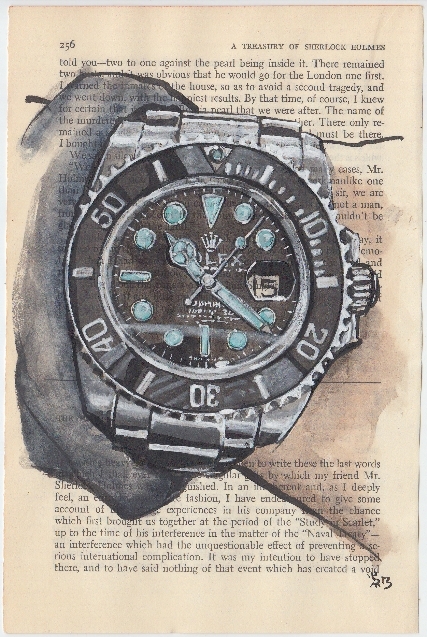 I had the pleasure of painting two of Matthew's watches. His Rolex GMT and Rolex Submariner. 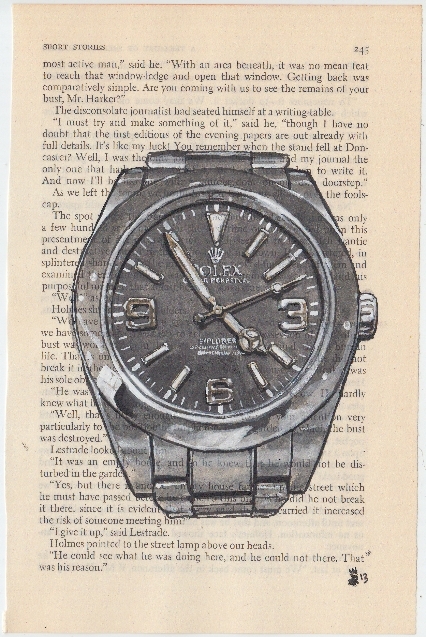 Hranek- 'The Sub was my first Rolex purchase (my dad had left me a datejust). It was the early days of ebay and I had no idea what I was doing the watch was $1800 and the guy i was buying it from didn't trust ME... (early days). Bob's Watches is the site for pre-owned Rolex watches. I loved the look and character of their Gold Rolex Submariner 1680. The Model 1680 Gold Submariner is the first to have a reference date window and was manufactured by Rolex for Tiffany Co. The 1680 was also the first gold Rolex. A golden anchor was produced to go with the watch . Vintage submariners have a thicker crystal made of acrylic which is shatterproof. They do scratch easy though. Vintage 1680s are difficult to find, making them more valuable and to many, more interesting. Paul Altieri is the owner and CEO of Bob’s Watches. Paul is an avid Rolex expert and enthusiast. Over the years he has collected a myriad of rare, vintage Rolex watches, each one having its own unique and interesting story to tell. Bob’s Watches was founded by Paul Altieri who is the mastermind behind the World’s First and only Pre-Owned Rolex Exchange. The Rolex Exchange allows consumers to buy, sell, and trade second hand Rolex timepieces at fair market prices. The website openly publishes current buy and sell values for each model of Rolex. Every watch on Bob’s Watches is in stock ready to be shipped to your front door via overnight shipping. 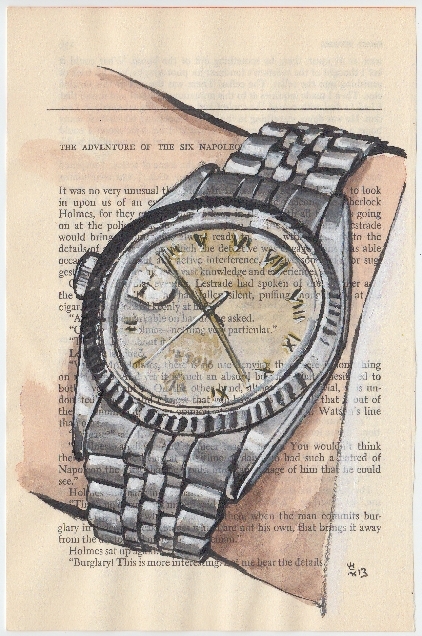 This Rolex Sporting Prince Travel Watch watch was submitted by Gene Stone. 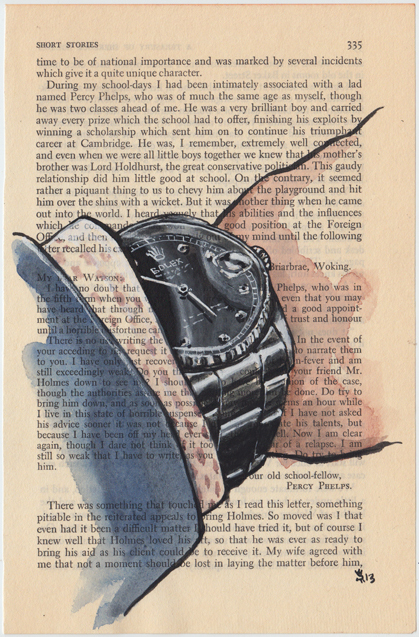 Author of 'The Watch', -the definitive book on the wristwatch. 'My husband inspired my love of watches. When we were dating, my now husband would always send me links to watches - pictures of ones he loved or articles he thought I would find interesting. I loved spending time with him looking at watch blogs, flipping through auction catalogs, or window shopping. I loved seeing and hearing his excitement as he shared his interest with me - and his passion was contagious. I slowly found myself frequenting his favorite sites, reading about the history and evolution of watch making, asking him questions...and I slowly started to develop my own taste. When he finally got his very first watch, he made sure it was a size we could both wear. On the days I had it on, I loved looking down at it and thinking two things: how much I loved him, and how beautiful it was. 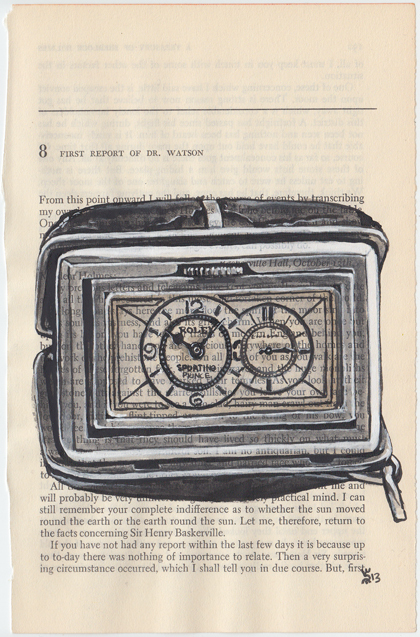 After we were married, he purchased his "forever watch" - one he'd wear every day that would eventually show the wear of use and tell a story of its own - of a life we lived together. I felt such genuine happiness for him to have something he loved and appreciated so much. This Rolex Submariner watch was submitted by Bill Nam (instagram user @watchmylegacy). 'The watch I am submitting is my rolex submariner 116610. This was the biggest investment I've made and it was from my own education and history of the watch that attracted me to it, and by no means not because of its name and prestige. To me, it is a symbol of hard work and hope; the image that comes to mind is my father who owns his own vintage submariner that he received as a gift and he cherishes it. My father works to the point he considers it a part of life, and as long as his family that he works for is well off because of his sacrifices, he will continue to push. Thank you for your time! And hope to hear from you soon. This Omega Seamaster Deville was submitted by John LaFreniere (instagram user @johnlaf13).